View Site. Everything You Desire. Grow Easy Income. Achieve Financial Freedom. Everything you desire | Place Free Ads | Shop | Cheap Travel | Cheap Phone | Totally Free Dating | Free Website | More. Everything is FREE! Join our Community to EARN. on your website with your name. Join. Participate in our community to make MONEY and ENJOY as a Premium member. Setup your free, secured, personal business PayPal account here, so that your earnings get auto deposited in your account. Online Name. Search and choose a domain name (such as YourName.com or AnyName) from our site iLove.US and email your choice to: Support@FreeNEZ.com. We will pay for your chosen Online Name when you choose FREE Premium membership and we will create a website for you to market and earn. Start Earning. Invite your contacts to SignUp on your exclusive Website and Grow Monthly Income! 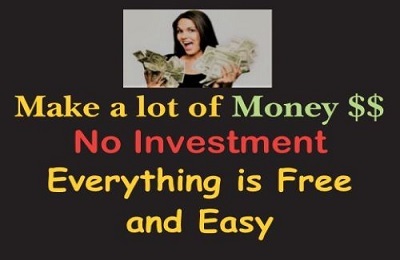 Also see all the benefits and get your own free store here to make more MONEY. Video lessons. © 2014 - 2019 Freenez(R).com | All rights reserved.